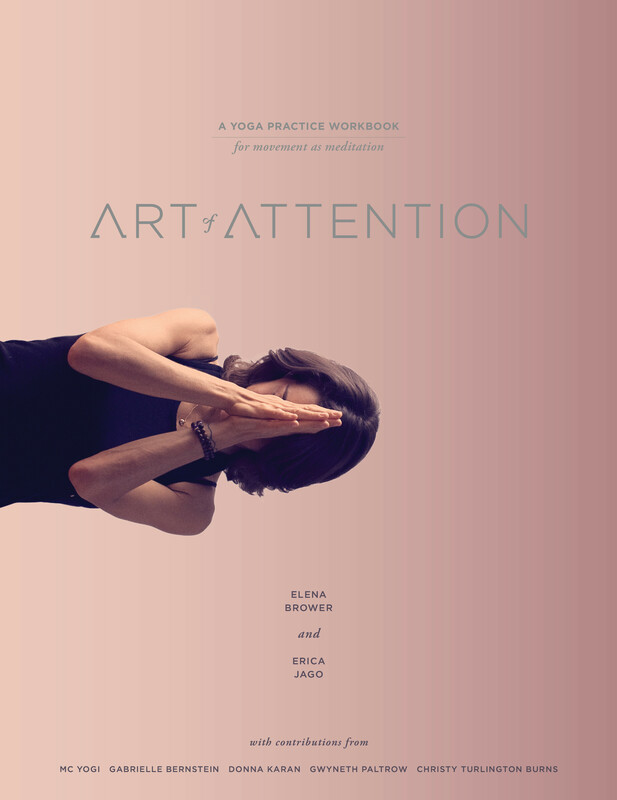 Distilled from Elena Brower and Erica Jago’s acclaimed workshops and training programs, Art of Attention has become an essential resource among instructors and students seeking to bring movement-based mindfulness into their practice. This beautiful illustrated book guides you through pose-by-pose practices, journaling, and luminary wisdom into the deeper experiences of yoga practice. For students and teachers at every level, this one-of-a-kind resource takes us further into yoga—and the art of living—with clarity, creativity, wonder, and depth. Includes contributions from MC YOGI, Gabrielle Bernstein, Donna Karan, Gwyneth Paltrow, Christy Turlington Burns, and others inspired by Elena and Erica’s work.